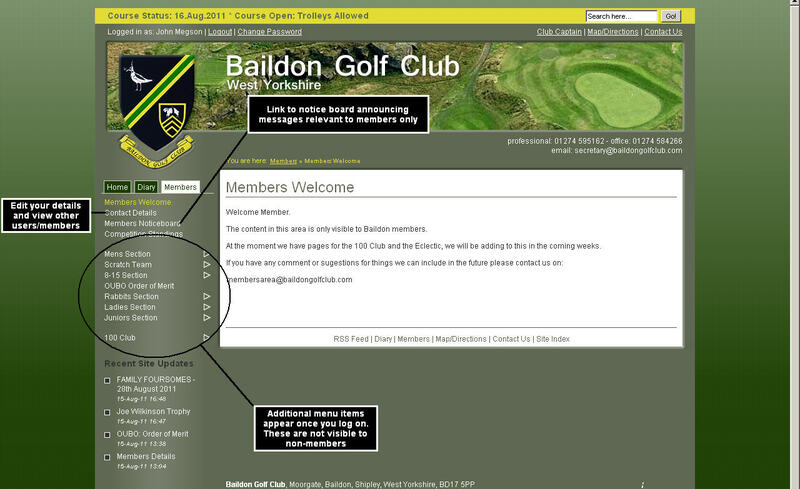 The intial 'Members Area' screen display pages available to members and visitors alike. Log on to access the restricted content . Follow the on screen instructions to request a new account or log on using an existing account (see below). Once logged in new content will be displayed. 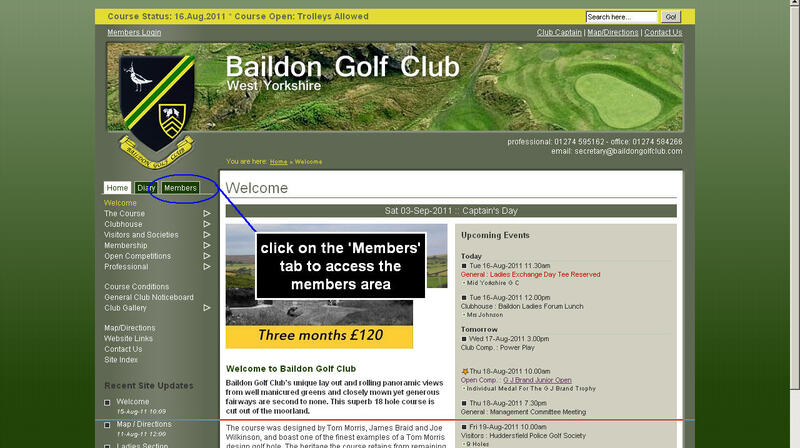 You can access your contact details and view other user's details. Results for the section knockout competitions are planned for future inclusion. This content will build up over time, (see below).